Sussing out cheap and good local food is sadly not my niche. I know friends of mine who can easily name the best rojak, the most comforting bak kut teh and the most irresistible carrot cake (the Chinese dish, not the actual cake). 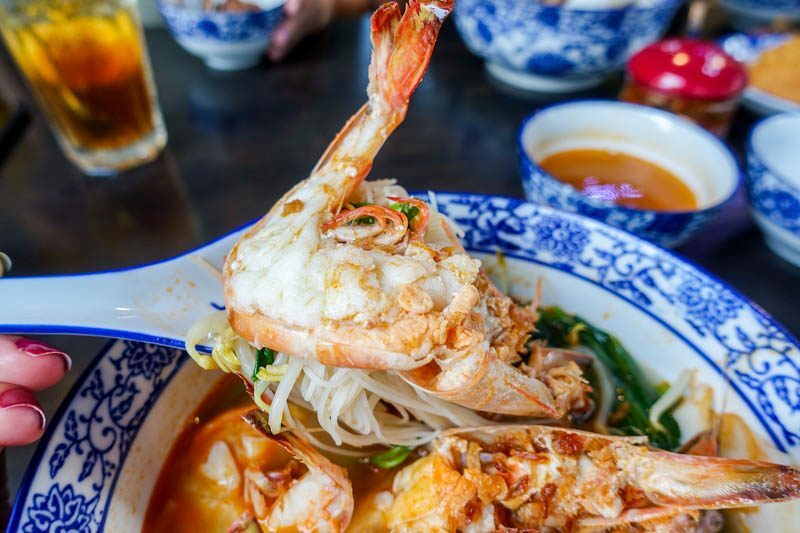 So, when I heard about a prawn noodle place that numerous online publications had been talking about, I felt a wee bit proud of myself of being in the know. 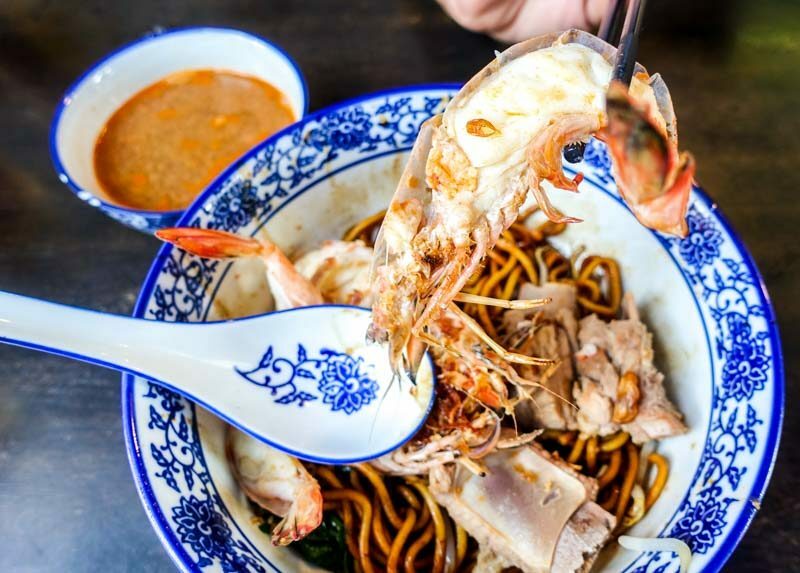 Da Shi Jia Big Prawn Mee 大食家大大大虾面 at Killiney Road is more than just a name. 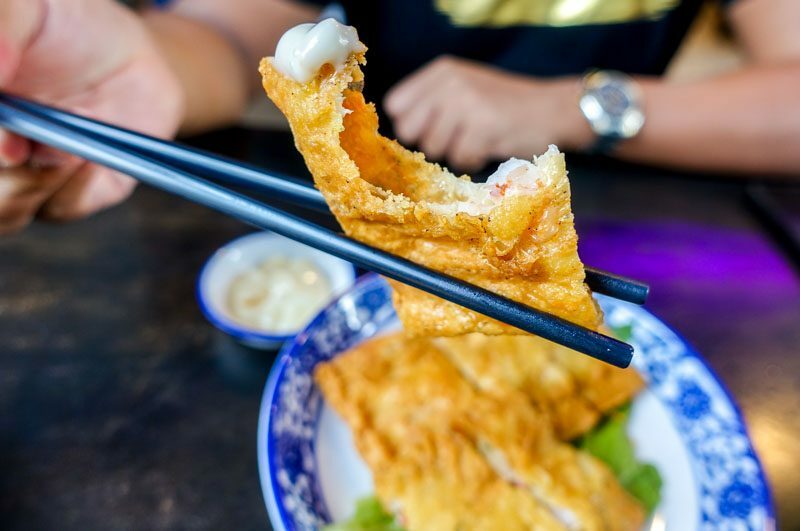 They have cleverly and humorously designed their name to be a play on words; the name includes three ‘大‘ to represent the generously-sized prawns they serve. 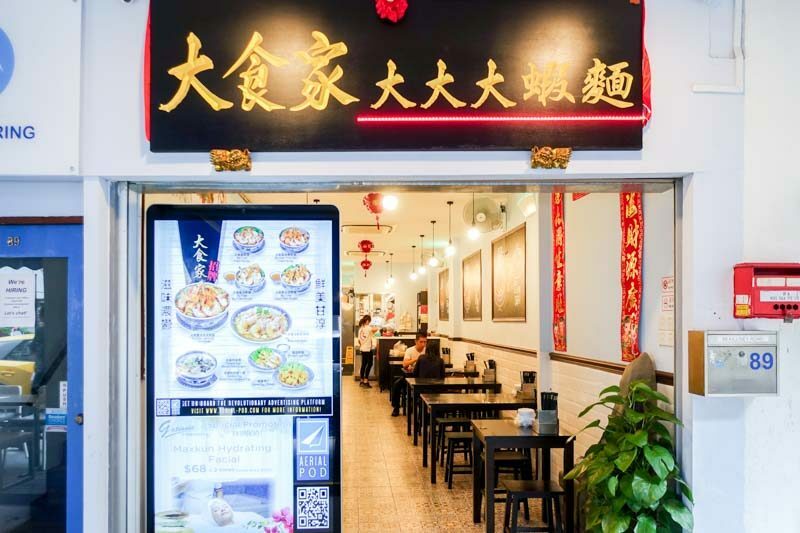 The Da Shi Jia Prawn Noodle comes in four sizes, with varying prices — S$5.90 (regular), S$9.80 (big), S$13.80 (large) and S$16.80 (signature). We naturally went straight for the biggest size (the signature), and we weren’t disappointed! The bowl came brimming with other ingredients like leafy greens, bean sprouts and fishcakes, along with a generous amount of our choice of noodle (we chose bee hoon). As you can see, they’re not kidding around with the size of the prawns, so I would say it’s worth every cent. The flesh peeled off with little effort, a testament to its freshness. 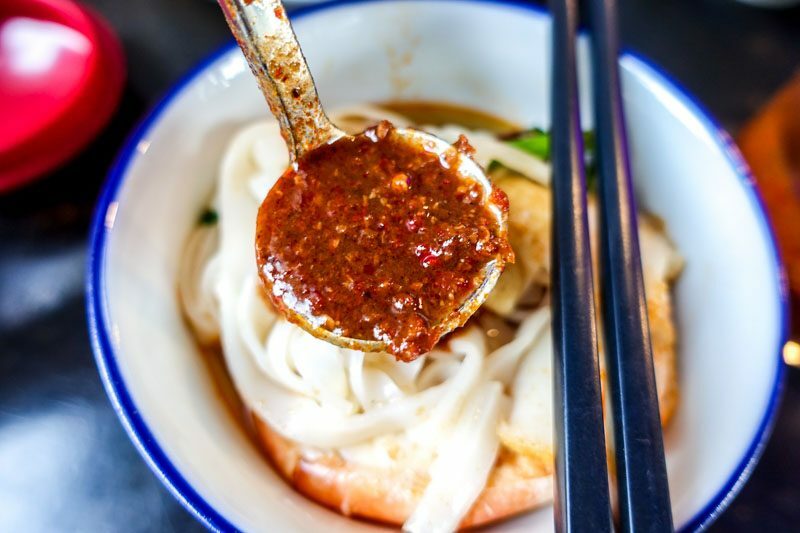 It was sweet, and when enjoyed with the noodles in a single bite, gave the chew a little springiness. 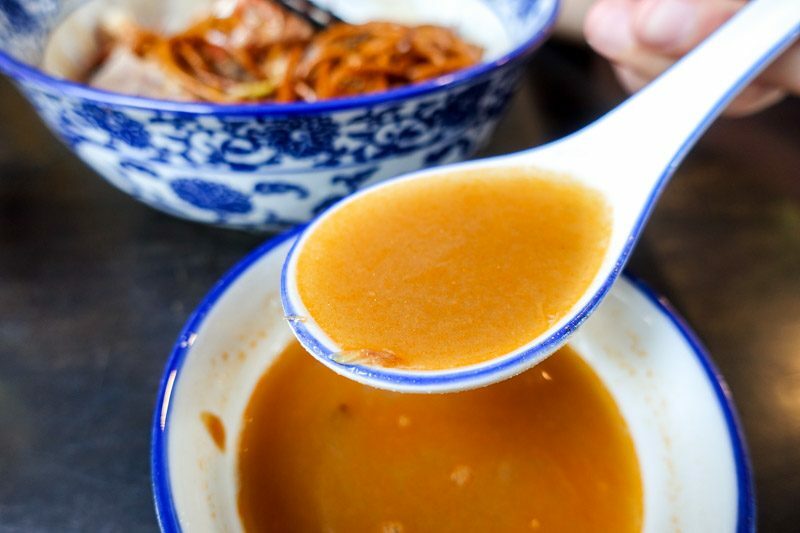 The final verdict for any bowl of soup usually lies in its broth. Here, there was sufficient body and flavour to satisfy me, but I still found that it was lacking a robustness that I couldn’t quite put my finger on. In spite of that, it was nicely balanced with a hint of sweet and salty, and upon reflection, I wouldn’t mind returning for a second try. 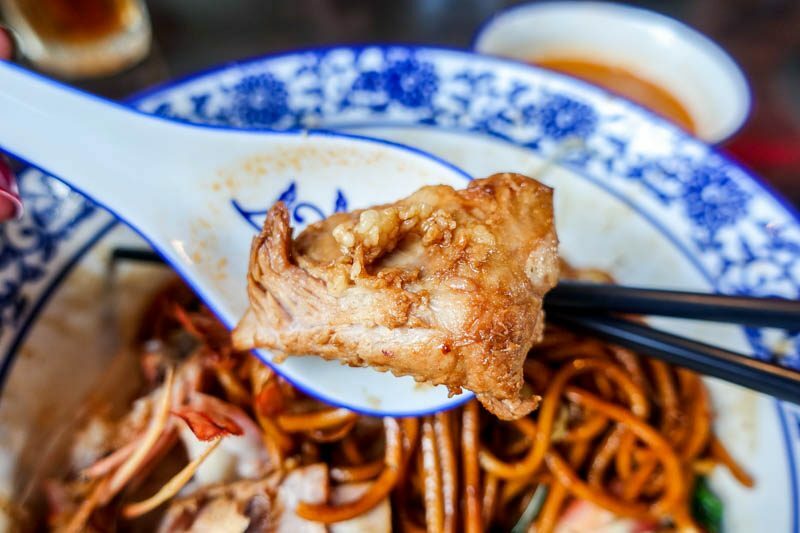 If you’re after something denser, the Da Shi Jia Pork Ribs Prawn Noodle (S$13.80) will surely curb your hunger. For this bowl, we chose a mix of bee hoon and yellow noodles. It comes with a side of broth and one of the servers suggested we enjoy it with a generous spoonful of their homemade chilli sauce. First things first, I still couldn’t get over the size of the prawns they’re using in all their noodle dishes! Perhaps it’s just me used to being served tiny prawns all my life. Again, their natural sweetness really came through, and was in fact, complementary to the thick noodles that were drenched in black sauce. The pork, on the other hand, didn’t really win our admiration. It was slightly chewy and only carried flavour due to being tossed in the prawn noodles, and didn’t shine on its own. The next time, we’ll just stick to the wet versions here. As for their homemade chilli sauce, it was tame (in terms of spiciness) for my taste buds, but it did help a lot in adding more depth to the bowl. 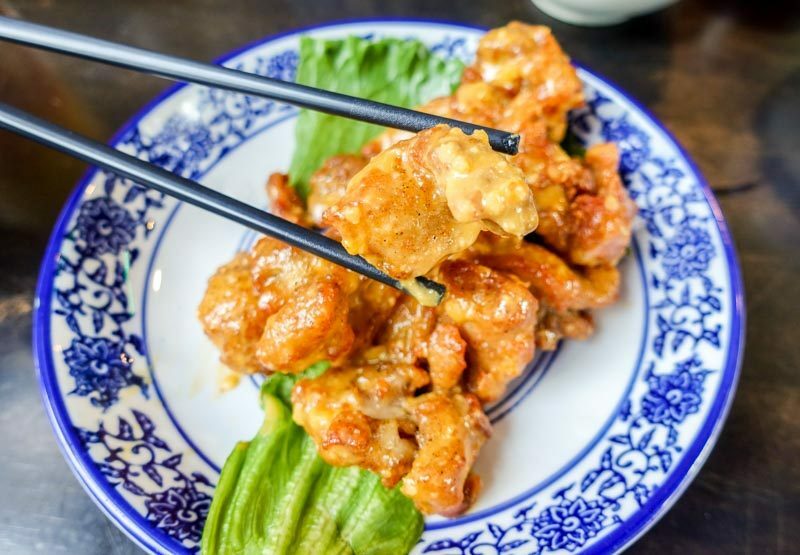 When you’re there, order some zi char side dishes to share amongst friends, like the Salted Egg Chicken (S$5.80). Personally, I didn’t expect to be blown away by this, given that their speciality is clearly in prawn noodles. But I just thought, why not? We were probably too hungry by the time we sat down for this meal, so this easily satisfied us. However, once we were done, we realised that the meat was dry and lacked seasoning, apart from the salted egg sauce. This is the second time I’ve come across this — similar dish, different place — and I still scratch my head wondering why people scrimp on seasoning. The other side dish we ordered was the Shrimp Prawn Roll (S$5.80). Now, this is a must-order to share. The skin was incredibly thin and not greasy. Just because it’s a side dish, doesn’t mean that the ingredients used were any less fresh. The prawns inside were just as sweet and had a really solid bite to them. 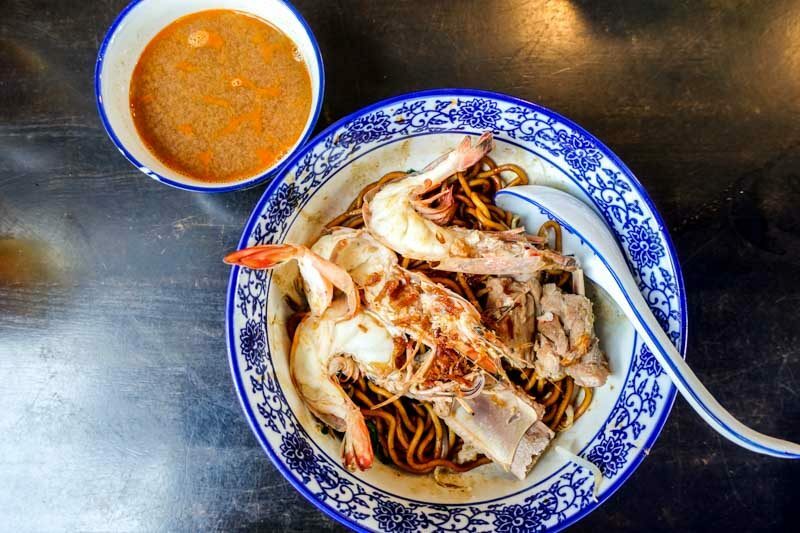 Although I’m sure there are loads more prawn noodle shops in small nooks of neighbourhoods, I would say for something this centrally-located, you can’t really say anything terrible about it. 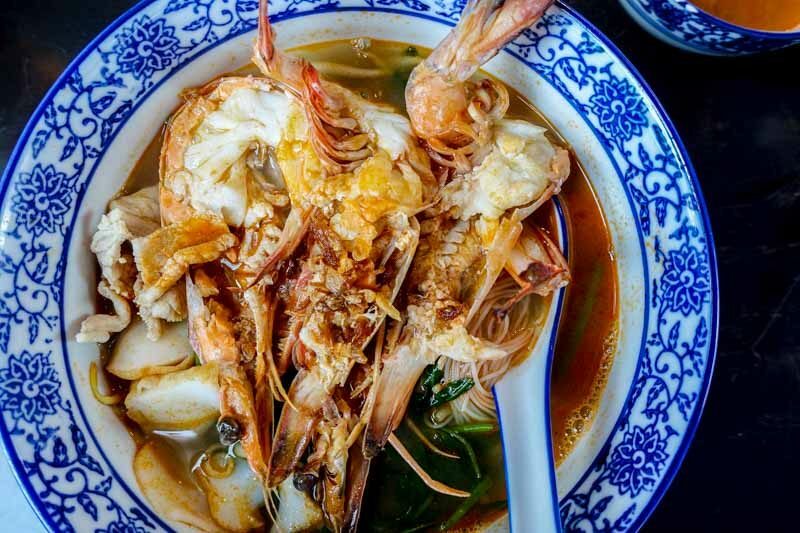 I would be willing to return to give their prawn noodle a second chance; it may have lacked body, but the size of those prawns certainly won me over.